As a licensed Esthetician, I consider the health of my skin and the ingredients and tools used on it to be very important! As a WAHM with two toddlers, though, I have to admit that my skin is rather easy for me to neglect! I just don’t have the time for a multi-step program or to give myself the facials and pampering that I used to rely on when I had more “me” time and cash flow. And the more natural-minded I get, the less OK I am with unnecessary chemicals doing a superficial job for me. So, where is the balance? How can I take care of myself without budgeting much time or money for it? How can I age well (yes, I do plan on ageing, but I want to do it gracefully!) without harmful or potentially toxic and pricey ingredients? How can water properly clean on its own? It is such a common misconception that water does nothing but rinse. A splash of tap water on its own may not remove makeup or environmental polution, but water is a fantastic surfectant when the agitation is right! 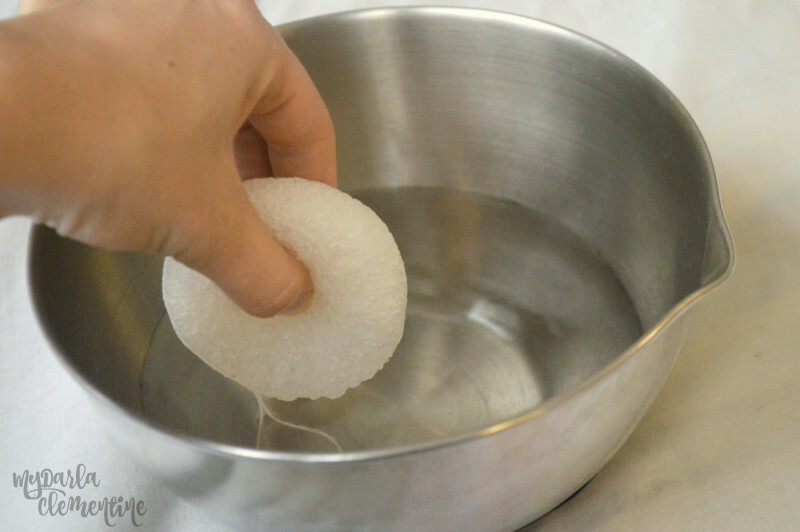 Using appropriate tools for the job (konjac and microfiber, in my personal experience) can certainly facilitate effective water-only cleansing! It’s good for the skin! A lot of cleansers alter the pH of the skin and strip natural oils from the face as well as the external debris. This stripping can cause us to rely on a list of other products to rebalance our pH and replace moisture. In addition, our skin can take the stripping personally, acting out by overproducing oils to compensate and leaving us other issues and messes to figure out. Overall I have been very impressed with their performance. I really liked that they have silver embedded into the fibers that make the cloths naturally anti-bacterial against themselves, meaning they can be rinsed and reused several times before laundering without harboring anything too scary. KONJAC: I was recently contacted by Pure Sol to try out their line of face & body sponges. Though they are made of completely natural Konjac fibers with no added chemicals, they come in fun options like turmeric and activated charcoal for added skin benefits. They can either be used with natural cleansers or the water-only method and are said to cleanse, gently exfoliate, and moisturize the skin. I wanted to test the sponge and cloth’s ability to not only cleanse the face, but also to remove makeup. 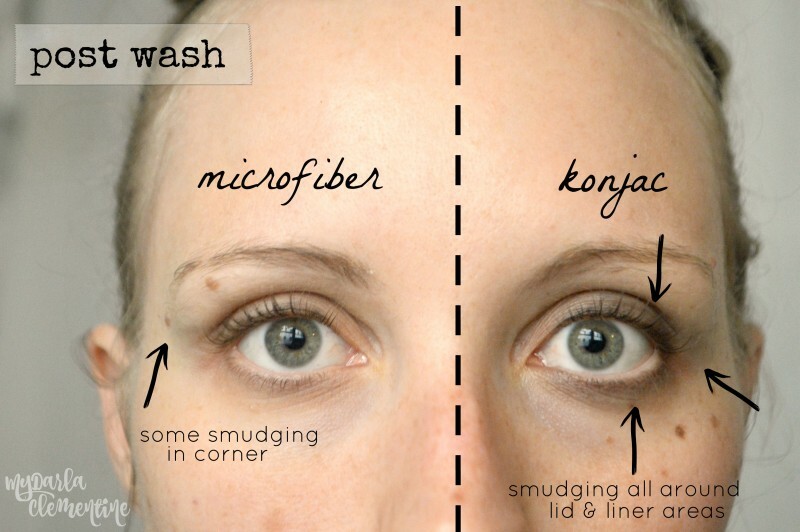 So, I quickly threw on my 5-minute minimal makeup face, and then drew an imaginary line down the center, deciding to wash one half with Microfiber, and the other with konjac. I love how the PureSol sponge felt against my face! Instead of the typical foam-sponge feel, it had more of a cool, jelly texture to it. It was extremely gentle, especially around the delicate eye area, and was almost relaxing and calming to use! Really, when their packaging states that it “massages” the skin, they weren’t joking. The microfiber cloth, on the other hand, was much rougher and definitely felt like it was tugging. Both the microfiber and konjac did a great job of removing my homemade face powder, mascara, and red lipstick (this vegan mineral color by Pacifica, in case you are wondering). As far as the eyeliner went (I was wearing this one by Pacifica), neither got it off completely. The konjac side had more smudging and residual liner, while the microfiber side looked almost clean and could probably have gotten the rest off with another wipe or too (though I was hesitant to keep going as it felt rough and tugged on the eye area). Then came the homemade foundation, which was the makeup-removal test that clearly boosted microfiber into the lead. The microfiber side of my face felt completely clean and soft to the touch. The konjac side still had an obvious film or layer of makeup left on the skin that I could feel, though I couldn’t see it. I found the konjac sponges to be much easier to grab onto, use, and manipulate, especially on the body. They came with a handy string attached and suction cup hook for storage. Both the sponges and microfiber involved regular rinsing, but I would say that the sponges required more simply based on their surface area being smaller. The microfiber cloths would need to be laundered (about every week), where as the konjac simply need rinsing, with an option to boil or nuke after a few weeks or month. If judging on just the one wash, I would have thought that the microfiber did a much better job of exfoliating and brushing away dead skin cells and build up. However, having used both over time and seeing the cumulative results, I began to realize that the microfiber was actually too strong for my skin to use on a daily basis and ultimately a bit counter productive. After two weeks of consistent use my skin felt tight and dry during and right after cleansing. The sponges were able to dust dead skin off gently, keeping the skin healthier overall. PureSOL Konjac sponges are vegan, created using only steamed konjac fiber and sometimes (based on variation) have added turmeric or bamboo charcoal. There are NO added chemicals and the entire thing can be composted when finished. They also come packaged in recyclable packaging. Microfiber, on the other hand, is synthetic and not at all biodegradable. Though both options could work, I much prefer the konjac sponges for both my face and body. 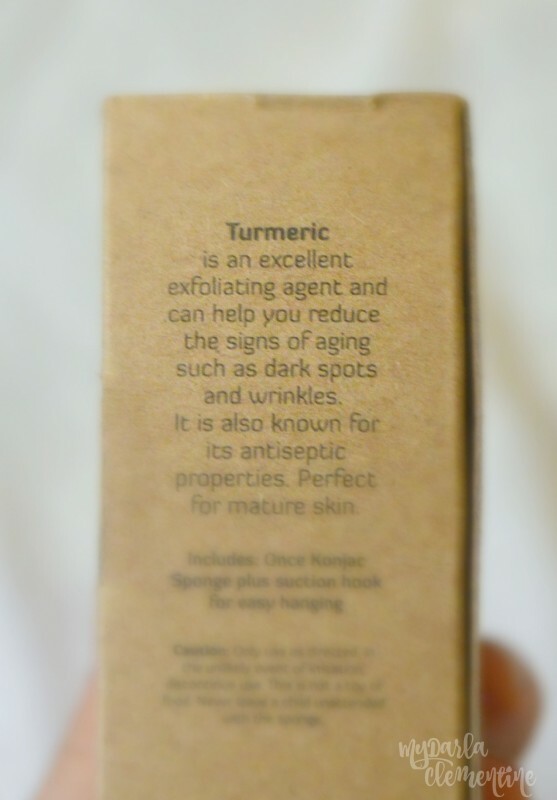 They leave my skin merry and bright, are more eco-friendly, and I am in love with the turmeric option. However, I don’t feel that the konjac does as well on makeup removal. 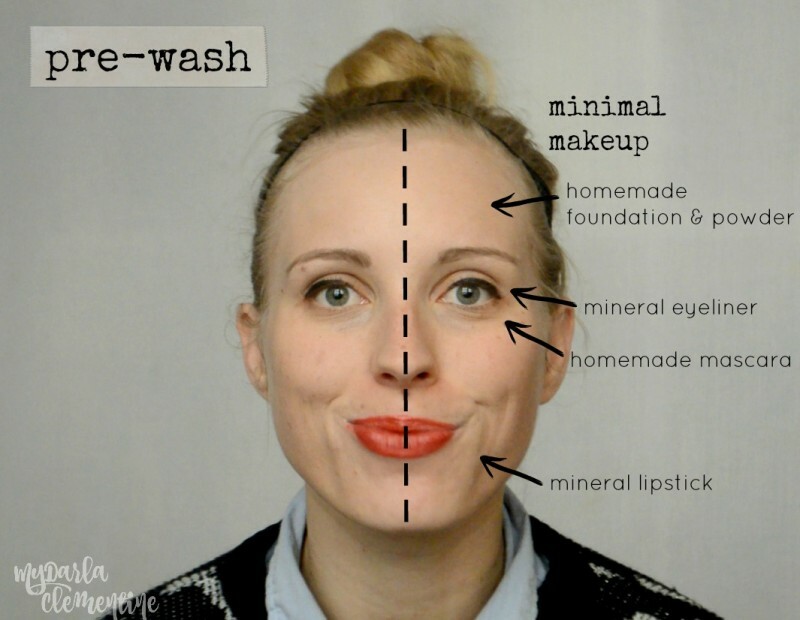 On the days that I wear full-face makeup I will either: (1) use homemade eye-makeup remover and wash my face with the sponge and water twice; (2) use a natural cleanser along with the sponge; or (3) use the microfiber cloth and water instead (with option 1 being the most likely). We will be giving away 2 PureSOL sponges on Instagram this weekend! Be sure to follow us now so you will have a chance to enter! What do you use to cleanse your face? Could you ever imagine yourself going water-only? Let me know in the comments below! Thank you for this post! I too use Norwex microfiber cloths and really enjoy them. I find them to be a *tad* rough but no more so than a traditional washcloth. But like you, I have eco-concerns and I generally avoid synthetic products when I can. Im gonna try one of these sponges! They sound heavenly! Hi Kim! Great, hope you enjoy the sponges! The Norwex cloths are certainly a great option and I still keep mine handy! My skin just gets so dry with regular use of them, especially during the winter. But it is worth mentioning that my skin is a dry/sensitive type to begin with, so I don’t think it would necessarily be a problem with everyone! Let me know what you think of the sponges! Thanks for a very informative post with some ‘food for thought’. I am a water only gal for the most part.. and these ‘tools’ look interesting! That’s great! Isn’t it amazing how well simple water works?? I had no idea either of these options were available for the face! 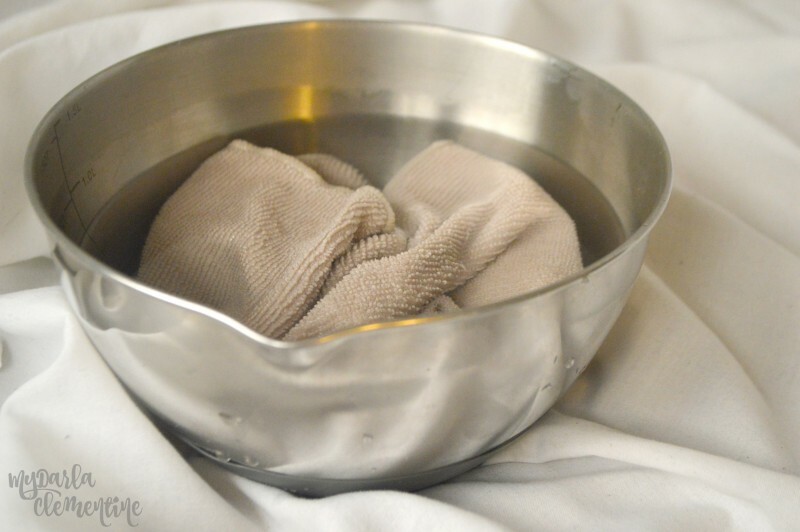 I’ve always done the oil cleansing method with coconut oil and a trusty old washcloth! Oil cleansing is definitely another popular option! I never heard of these sponges. I would probably would opt for the PureSOL since I have sensitive skin. I have only known about them a few months and love them! Just wish they didn’t have to be replaced. I feel a lot better about splashing only water on my face in the mornings. 🙂 That sponge looks really nifty. I use microfiber as little as possible simply because I can’t stand the texture on my hands. Normally I use olive oil to remove any makeup I wear (which isn’t often), but now I’m glad to have more options! I agree – I don’t like the feel of microfiber on my hands either! I just came across your blog! I was wondering, have you ever tried Norwex’s makeup removal cloth? They are way softer than the body cloth, and remove makeup really well! I haven’t tried the sponges, though now I’d like to. But I know that the makeup removal cloth, which has a more suede feel to it, is really great for removing makeup. I’d love to hear what you think! oil as a make remover. Any helpful tips on another method? Hi Cheryl, Acne is a tricky one, especially without seeing it, as there can be many levels and underlying causes. I do think that there are some effective natural/safer alternatives that I have seen work, but the active ingredients are different than the ones you’d find in Proactive or medicated brands. As a result you might not see as instant or dramatic of a change. Since her acne is heavy enough to warrant such an active line already, I would probably suggest using a high-performing but safer option, like Beautycounter’s Charcoal Cleansing Bar along with the sponge for cleansing, Beautycounter’s No. 3 system (charcoal mask, mist, and balancing face oil). These products contain charcoal and kaolin clay, as well as green tea, salicylic acid, and organic plant oils that will purify the skin’s impurities and handle bacteria and extra oils, while still nourishing, moisturizing and balancing the skin and treating blackheads and acne. Are you currently using coconut oil to just remove eye makeup or on your entire face? Gosh this is so great! I love cleansing with water but it’s mostly b/c I’m lazy/scared of all products and breaking out or toxicity! so I’ve started looking for natural methods to cleanse! Love this info from you! Love the before and afters and pics and you are a doll! Love the cute pic at the top!!! !